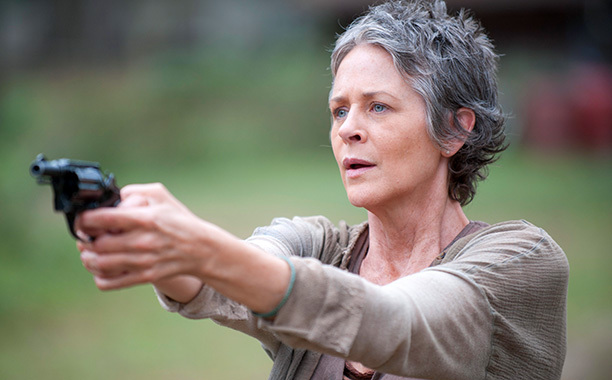 The Walking Dead Season 4 Finale Spoilers: Who Dies, What Happens in Episodes 15, 16? The Walking Dead season 4 has two more episodes left, airing this Sunday and the next. And season 5 won’t be premiering until October. People are wondering who, if anyone, dies, and what else is going to happen. That, to me, indicates that all of the major characters will be meeting back up by the end of the season. Whoever doesn’t get killed will go with Rick. There’s a lot of rumors about at least one major death before the end of the season. Since Rick is already confirmed in season 5, he seems safe, along with Carl. Some people say that Daryl is also safe but comic creator Robert Kirkman, who is an executive producer on the show, said on Wednesday in a Reddit Q & A that that’s not true. The Governor is almost surely dead after getting stabbed by Michonne and shot by Lilly but David Morrissey told the Press Association that his character may return. “Something happened to him. I feel like a shady politician where I can’t confirm and I can’t deny anything,” said Morrissey. “Certainly, bad things befell him at the end of the last episode but we just have to wait and see.” He will likely appear in some kind of flashback scenario. The guys Daryl met seem like smaller players as compared to, say, the more major characters of Abraham, Rosita, and Eugene. There’s another one of those who will appear in at least one of the remaining two episodes, called Gareth (played by Andrew J. West of “Greek). Gareth is not from the comics but sources told The Hollywood Reporter that he is a remix of sorts of an unidentified character from the series. Gareth is pegged as an important character. West has the option to get promoted to a series regular in season 5–and so do Abraham, Rosita, Eugene, and Tara, if they don’t get killed. The trio led by Abraham appear most likely to be promoted since Rick and the group will be headed to DC in season 5. Then again, one or even two of the trio could get killed. Producer Gale Hurd indicated to E! News that the last two episodes will be super intense. “The world of The Walking Dead is all about human choices, about what one has to do to survive, and how much each character is willing to sacrifice and compromise their humanity,” she said. “And we will really see certain characters pushed to their limit — in a way the way that Carol was — in these final two episodes.